The month of Ramadan comes to an end, and at Globalization4U we wish all Muslim friends a happy Eid ul-Fitr. Had the pleasure to explore the fabulous Sultan Ahmed Mosque or the “Blue Mosque” in Istanbul again this summer with my wife. 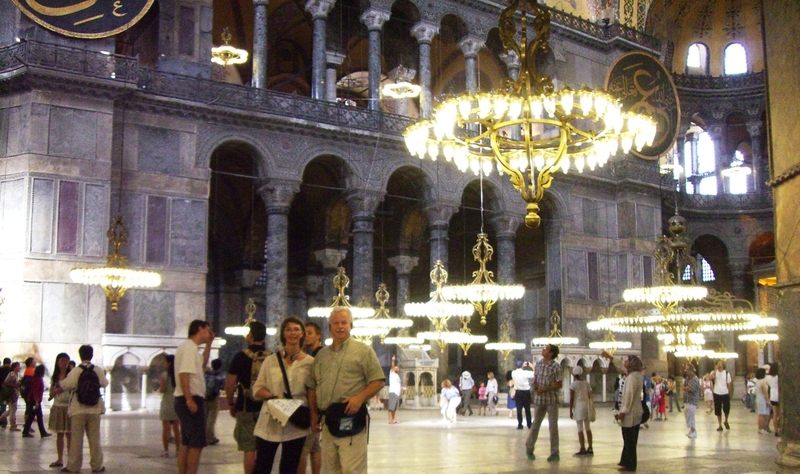 The author and wife in the Blue Mosque, Istanbul.